Hi and a very warm welcome to "Jellyfish". 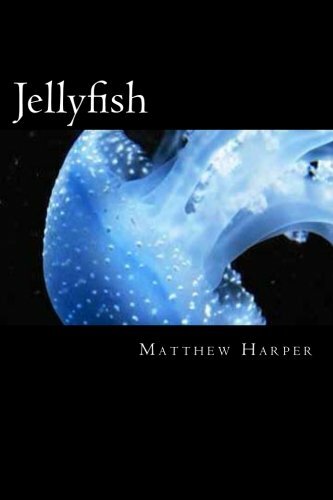 A Fascinating Book Containing Jellyfish Facts, Trivia, Images & Memory Recall Quiz: Suitable for Children. I'm one of those people who loves to hear about extraordinary facts or trivia about anything. They seem to be one of the few things my memory can actually recall. I'm not sure if it's to do with the shock or the "WoW" factor but for some reason my brain seems to store at least some of it for a later date. I've always been a great believer in that whatever the subject, if a good teacher can inspire you and hold your attention, then you'll learn! Now I'm not a teacher but the system I've used in previous publications on Amazon seems to work well, particularly with children. This edition includes a selection of those "WoW" facts combined with some pretty awesome pictures, if I say so myself! At the end there is a short "True or False" quiz to check memory recall and to help cement some of the information included in the book. Don't worry though, it's a bit of fun but at the same time, it helps to check your understanding. Please note that if you're an expert on this subject then you may not find anything new here. If however you enjoy hearing sensational and extraordinary trivia and you like looking at some great pictures then I think you'll love it. Matt.